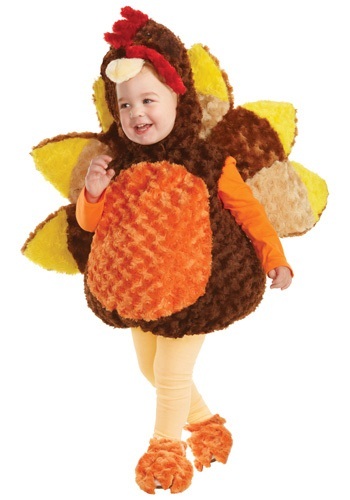 This Toddler Gobbles the Turkey Costume is an adorable and comfortable costume for toddlers to wear on Halloween and Thanksgiving! 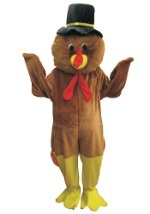 This 100% polyester costume is a stuffed and furry body suit that velcros in the back. 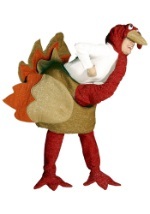 The body suit has an orange belly and yellow furry feathers that stick out from the back of the costume. 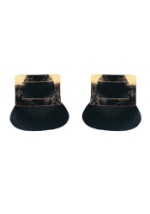 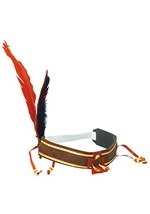 The brown furry turkey character headpiece velcros around the chin while the furry orange shoe covers go around the heel with an elastic strap. 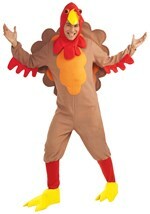 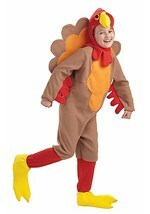 We have turkey costumes for adults too!